If you want to catch up on the latest news watch MANIFESTA 10 TV, a media channel of interviews with exhibiting artists and curators. Wherever you are, you can now follow the Biennial here and enhance your engagement with contemporary art. 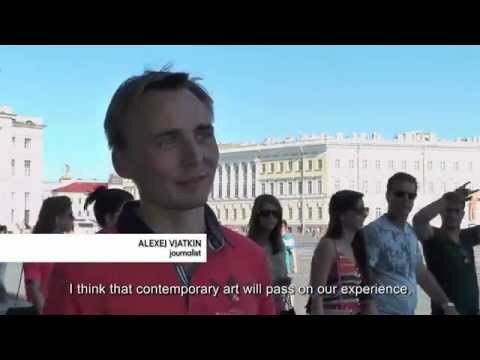 As part of the education program ‘MANIFESTA 10 TV’ student Anastasia Kizilova presents her report over the organization period of the street festival for art called ‘Art-Prospect’ which took place in St. Petersburg for the 3rd time - this year it became part of the Parallel Program of MANIFESTA 10. 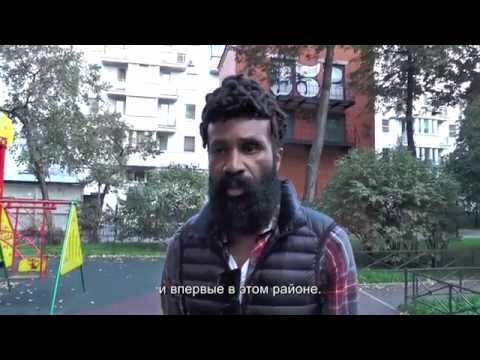 As part of the education program ‘MANIFESTA 10 TV’ student Arina-Margarita Egorova presents her report on Guy Ben-Ner’s project ‘Surplus Leisure’ which is located in Voronikhinsky garden on Kazanskaya Street, a new commission by the artist for MANIFESTA 10. As part of the education program ‘MANIFESTA 10 TV’ student Margarita Markelova presents her report on the project ‘No? Future!’ by Spanish artist Jordi Colomer which was adapted to its new St. Petersburg context with an additional Russian name ‘Chto Delat! ?’ (‘What is to be done!?’). As part of the education program ‘MANIFESTA 10 TV’ student Elizaveta Tikhomirova presents her report on the MANIFESTA 10 Education Program for schoolchildren groups at the General Staff Building. 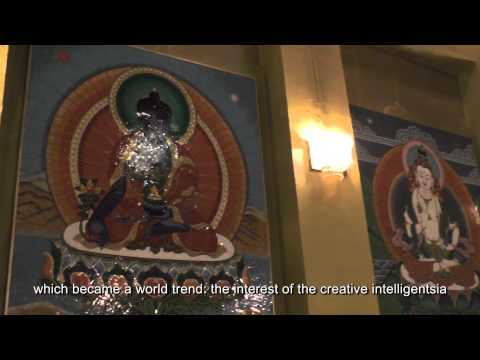 As part of the education program ‘MANIFESTA 10 TV’ student Ksenia Karmolina presents her report on the community project by MANIFESTA 10’s Education Program which was led by local St. Petersburg artist Alexander Dashevsky together with St. Petersburg Buddhists and the Lama of the Gunzechoinei Datsan. 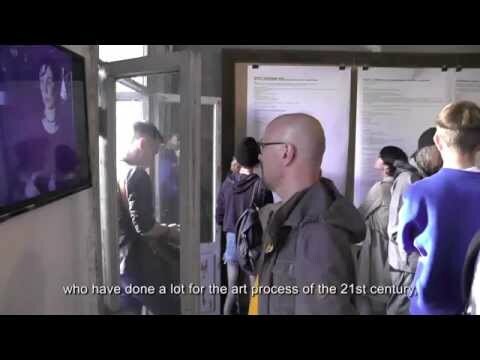 As part of the education program ‘MANIFESTA 10 TV’ student Daria Schinova presents her report on a community project conducted by MANIFESTA 10’s Education department in cooperation with the Art Studio from the "Perspektivy" NGO in psycho-neurological house №3 in Petrodvorets, St. Petersburg. 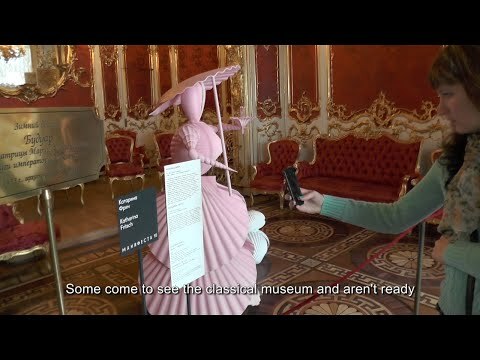 As part of the education program ‘MANIFESTA 10 TV’ student Ekaterina Veresova presents her report in which she explores what difficulties may appear when presenting contemporary art in traditional museums, by using the example of Manifesta 10 in the Winter Palace. As part of the education program ‘MANIFESTA 10 TV’ student Valeria Ustuzanina presents her report on the opening of the exhibition by the Novie Tupie Group as a part of Public Program ‘Apartment Art as Domestic Resistance’ at 33 Marata Street. Filmed on August, 22, 2014. 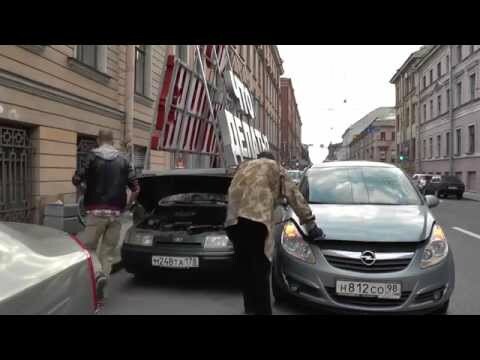 As part of the education program ‘MANIFESTA 10 TV’ student Anastasia Rind presents her report, where she investigates the various ways of living of Russian contemporary artists who have taken part in Parallel Program of MANIFESTA 10. As part of the education program ‘MANIFESTA 10 TV’ student Adelia Egorova presents her report on ‘Grrr Jamming Squeak’ – a project by the Italian artist Paola Pivi – a music studio which is located at Kuryokhin Contemporary Art Centre within the framework of MANIFESTA 10. 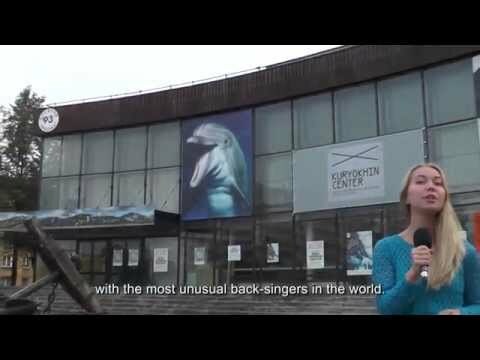 As part of the education program ‘MANIFESTA 10 TV’ student Jenya Melnicova presents her report on the Public Program event ‘Remote Petersburg’ - an acoustic walk across the city, devised by the Rimini Protokoll theatre and produced by the Bolschoi Drama Theater. As part of the education program ‘MANIFESTA 10 TV’ student Kseniya Chapkevich presents her report on the ‘MANIFESTA 10 Dacha’ – the Education department’s mobile platform which visits various city events and conducts workshops, interventions, discussions and much more with the public. 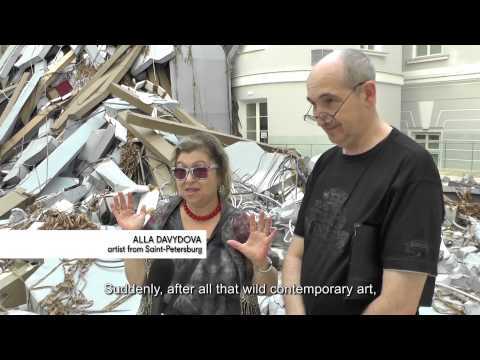 This summer MANIFESTA 10 Dacha has popped up at festivals across St. Petersburg, including the ‘Open Library’ festival, which is shown at this report. Filmed on the 2nd August 2014. 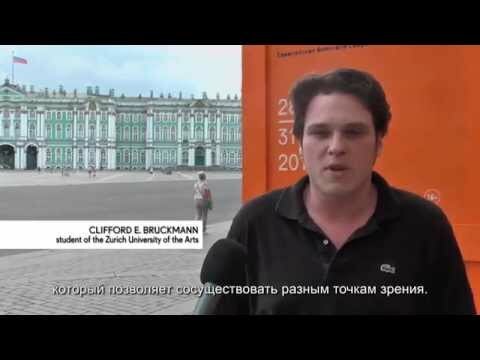 As part of the education program ‘MANIFESTA 10 TV’ student Ekaterina Sivkova presents her report on MANIFESTA 10’s project ‘Summer school’ which was conducted for both students of St. Petersburg’s art institutions and the Zürich University of the Arts. 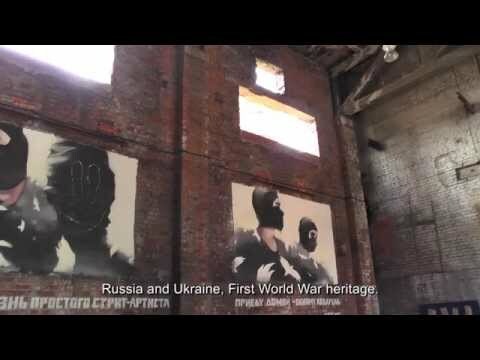 As part of the education program ‘MANIFESTA 10 TV’ student Natalia Smolentceva presents her report on the Parallel Program exhibition at the Street Art Museum in St. Petersburg. 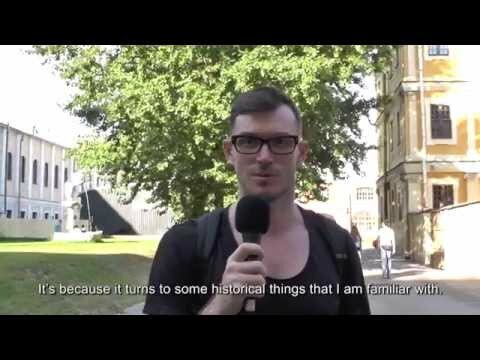 As part of the education program ‘MANIFESTA 10 TV’ student Anna Kopylova presents her ‘vox pop’ where she asks visitors of the General Staff Building about their points of view on the Biennial exhibition and contemporary art in general. 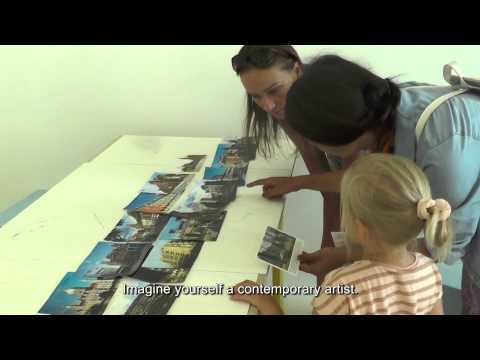 As part of the education program ‘MANIFESTA 10 TV’ student Veronica Bragina presents her report on the Public Program exhibition ‘Nonconformist Art’ at the apartment on Marata St., 33 filmed on the 8th August 2014. All the artworks presented at the exhibition are part of Nicolay Blagodatov’s private collection. 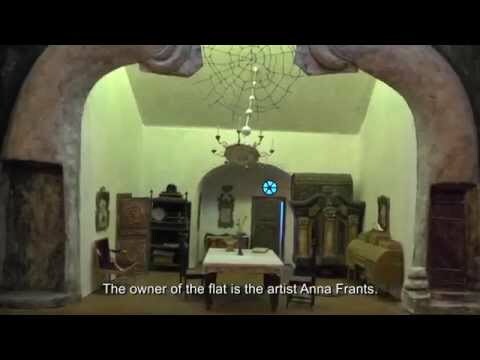 As part of the education program ‘MANIFESTA 10 TV’ student Yana Agafonova presents her report on the Public Program exhibition ‘Wife As Artist – Family Sorrow’ at the apartment (Marata st., 33) filmed on the 11th July 2014. 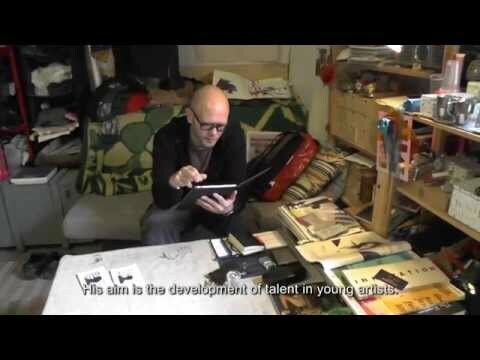 As part of the education program ‘MANIFESTA 10 TV’ student Stas Spasskiy presents his report on local people’s perception of the European Biennial of Contemporary Art. 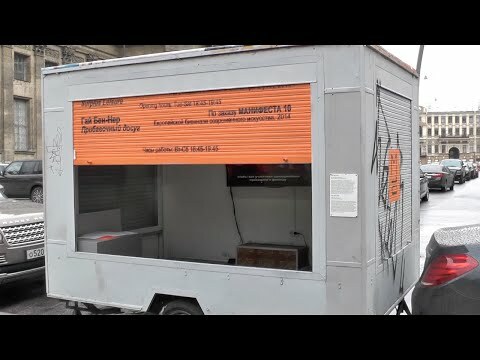 As part of the education program ‘MANIFESTA 10 TV’ student Sabina Minalto presents her report on Pavel Braila’s performance ‘Railway catering’ at Vitebsk Railway station filmed on the 19 of July 2014. 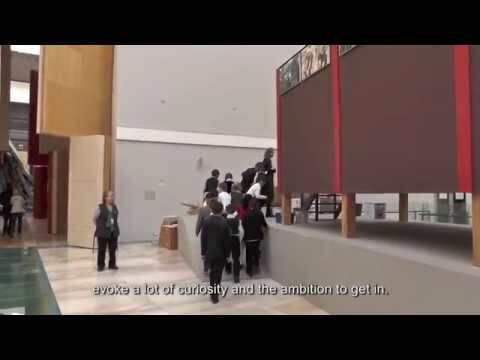 As part of the education program ‘MANIFESTA 10 TV’ student Maria Koshelenko presents her report on the Parallel Program exhibitions located at the First Cadets’ Corpus. As part of the education program ‘MANIFESTA 10 TV’ student Tatiana Mikharevich presents her report on the MANIFESTA 10 Education Program for children at the General Staff Building and at the mobile platform: the MANIFESTA 10 Dacha. As part of the education program ‘MANIFESTA 10 TV’ student Olga Bragina presents her report on the Parallel Program exhibition ‘Life of Outstanding Monroe’ at the Novy Museum. 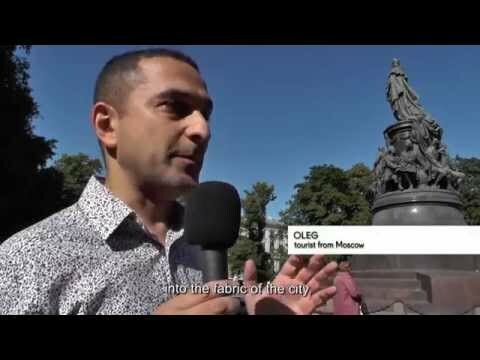 As part of the education program ‘MANIFESTA 10 TV’ student Anastasiya Kotchenko presents her report on Alexandra Pirici’s performance ‘Soft Power’ at Ostrovsky Square filmed on the 28 of June 2014. As part of the education program ‘MANIFESTA 10 TV’ student Artem Melnik presents his report on MANIFESTA 10’s Art Mediation. 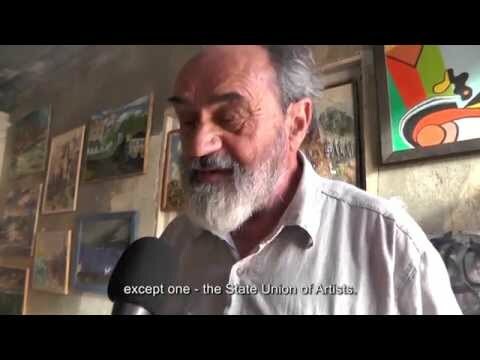 As part of the education program ‘MANIFESTA 10 TV’ student Natalia Tsibulya presents her report on the opening of the Parallel program exhibition ‘Anderstanding the Other’ at Erarta Museum on 29 of June 2014. As part of the education program ‘MANIFESTA 10 TV’ student Natalya Chekhoeva presents her report on the Public Program project ‘Apartment Art As Domestic Resistance’ at the Marata, 33 apartment. 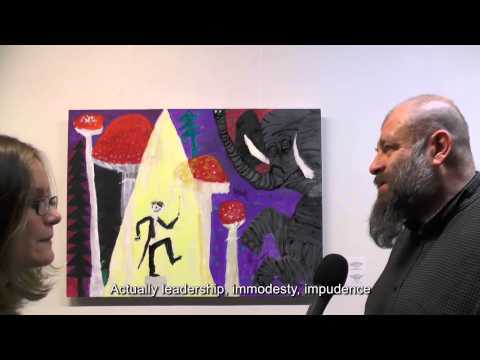 As part of the education program ‘MANIFESTA 10 TV’ student Alexandra Gart presents her report on the Parallel Program exhibition ‘The Other Home’ at the Frants Gallery Space filmed on the 28 of June 2014.